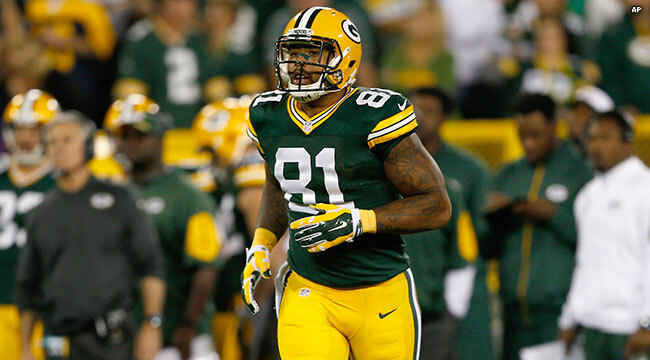 GREEN BAY — Packers veteran tight end Andrew Quarless, who has been out since injuring his knee in Week 3, will practice for the first time since his injury on Monday, Head Coach Mike McCarthy confirmed. Quarless was placed on injured reserve with the designation to return when he got hurt. Now that he will start practicing, the Packers have a three-week window to evaluate his progress. He must be activated and placed on the 53-man roster sometime prior to the end of the three-week window in order to play in games. McCarthy gave no timetable for a potential activation of Quarless, but Monday was chosen specifically for his return date because it’s a practice the Packers will conduct in full pads. Elsewhere on the injury front, center Corey Linsley (ankle) and right tackle Bryan Bulaga (ankle) got some work in Sunday but will be evaluated more closely in the full-pads workout. Receiver Jared Abbrederis (chest/ribs) also is making progress, but fellow receiver Ty Montgomery (ankle) is still not practicing. No update was given on cornerback Damarious Randall (knee).